Black mold is a black or dark-green fungus that tends to grow in humid areas, for example, bathrooms and laundry rooms. It also can appear after flooding has occurred, taking hold in areas of an individual’s house or apartment that are not easily seen. Generally speaking, black mold has a distinct musty smell, similar mildew. But its greatest harm is not to our nose. Black mold releases toxins into the environment which, when inhaled, can lead to harmful effects on an individual’s health. People with weakened immune systems, any type of lung disease, and those with long-term exposure to such mold are at greater risk from these toxins. When a person breathes too many of these toxins, especially over an extended period of time, they can experience a condition known as black mold poisoning. The symptoms of black mold poisoning are similar to an upper respiratory tract infection, like a cold or bronchitis. Extended exposure can even allow black mold to grow in the lungs. The images of this mold on CAT scans and MRIs are often difficult to differentiate from lung cancer. The takeaway message for us is to make sure that our houses, apartments, and places we visit regularly are carefully checked for mold, and cleaned properly on a regular basis. Like many other aspects of life, mold is an easy issue to deal with if a regular schedule of careful cleaning is maintained — especially in areas where moisture is common. 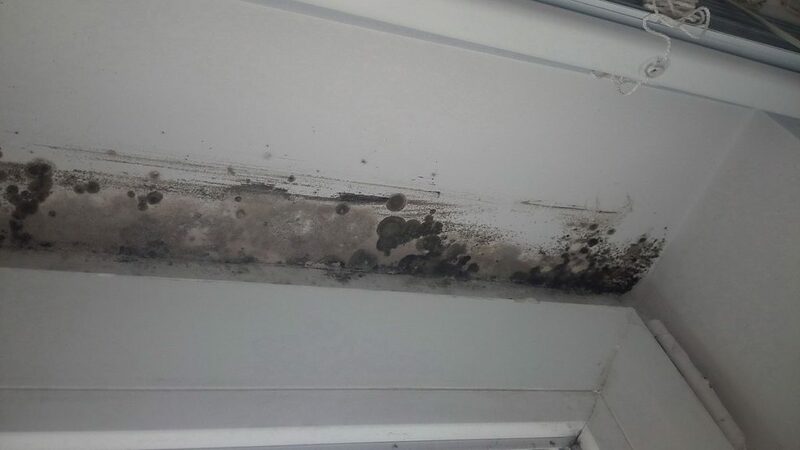 On the other hand, once mold has become an issue, it can begin growing in areas that are hard to reach or even to see. Therefore, we should be diligent about having the places where we live cleaned carefully on a regular basis.